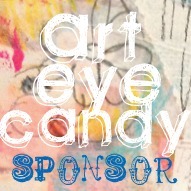 I'm so pleased to be able to offer this opportunity for you to become a valued sponsor of Art Eye Candy and the Art Eye Candy websites. As a sponsor, you will have pride of place in a specially created spot on the Blog, with the options of advertising on the Workshop website and the Candy Bites website. Depending on your package, you get from one to six months advertising space on your chosen forum (Blog, Workshop, Candy Bites or ALL three). ALL sponsors get an image link placed on the newsletters and any other emails sent out. If you'd like to go for longer, say six months, that's available too. Click the package you wish to purchase. The longer you sponsor, the more discount available! Got more questions? feel free to send me a message.